Everyone loves a good DIY project. 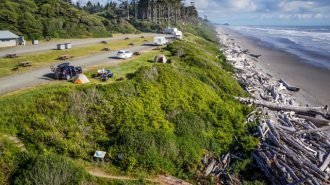 And for some reason, RVers more than almost any other group of people, seem to flock to DIY solutions for simple RV problems. We call these solutions hacks. 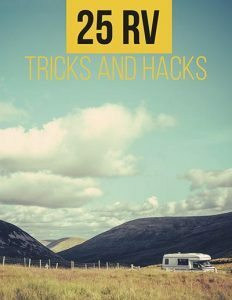 And you’re in luck because we’ve compiled a list of 10 RV DIY hacks you need to see. 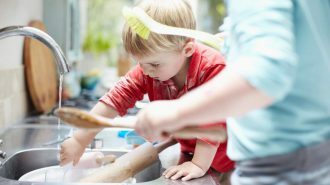 Because we know how much you love DIY hacks, along with each idea we’ve provided a link to a website or video with instructions on how to DIY the heck out these hacks. Are you ready! Let’s get DIYing! Most RV sinks have covers that slide over top while you’re driving down the road. These covers are great because they not only create a covered in-sink storage area, but they also serve as extra counter space. But what if we took that concept one step farther? What if, in addition to a storage lid and extra space, the sink covers also doubled as cutting boards? Brilliant right! This simple DIY requires nothing more than a simple cutting board and a hack saw to cut it to size. 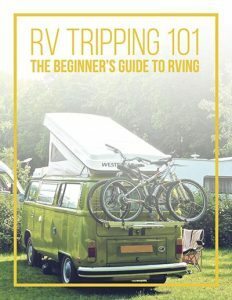 For more instructions take a look at this article on rvtravel.com. 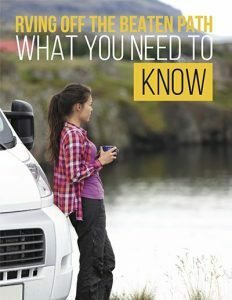 Plates are probably one of the biggest space hogs of all the kitchen items in your RV. When stacked flat they take up a large amount of space on the bottom of the cupboard, while leaving extra wasted space above. Even worse, they sometimes don’t fit flat in our tiny RV cupboards. There’s got to be a better way! Why not try going vertical? When stored vertically, plates take up less space on the bottom of the cupboard, while at the same time leaving no wasted space up top. It’s easy to make your own DIY Plate rack. 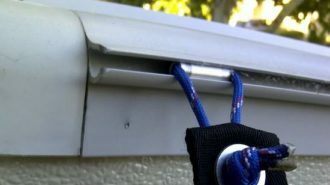 All you need are small bungee cords and metal cable clips. Head on over to watsonswander.com for a tutorial. 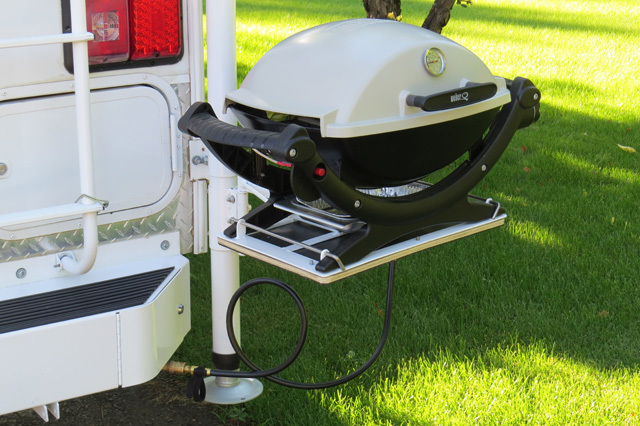 Portable grills and RVs go together like…well, like hamburgers and hot dogs, or marshmallows and chocolate, or corn on the cob and…you get the idea. The problem is that a portable propane grill needs a fuel supply. Your choice is either to lug around an extra full size propane cylinder, or spend a ridiculous amount of money on those small, non-refillable canisters. 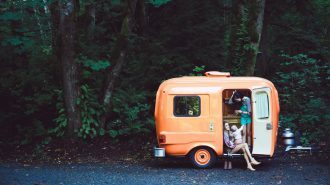 Wouldn’t it be easier if you could simply tap into the onboard propane tanks you already carry on your RV? Well, guess what? You can do just that. 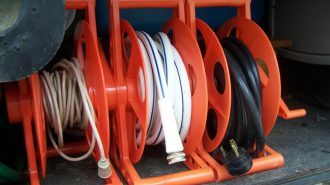 With a few basic items, or the simple purchase of a kit, you can create a DIY solution to this problem. 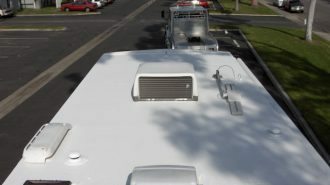 Take a look at both this article for DIY instructions, and this video for directions on how to modify your grill for an existing RV propane quick connect. 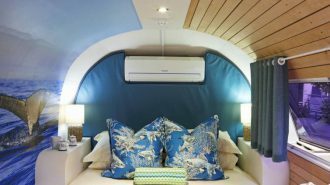 Curtains not only make the interior of an RV feel cozy, but they also serve many practical purposes. Privacy curtains near the RV bed, light blocking curtains in the living room, and towel bars in the bathroom are all practical uses for curtains in RVs. 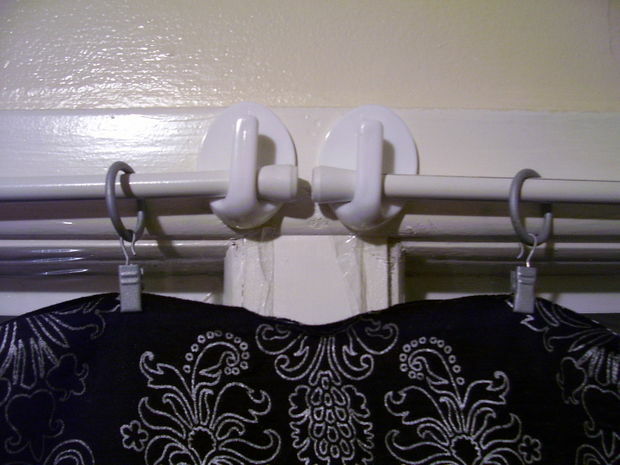 But what if you want to hang those curtains without adding extra holes to your RV walls? 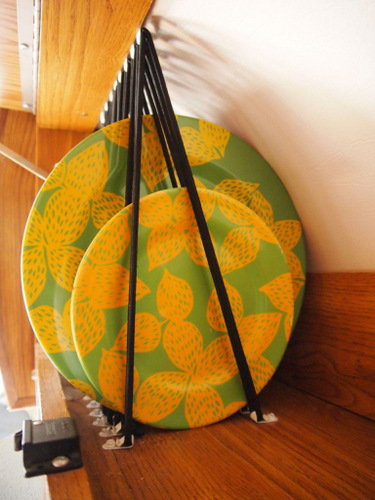 Try Command hooks with removable sticky backs. These ingenious hooks come in a variety of sizes rated for different weights. 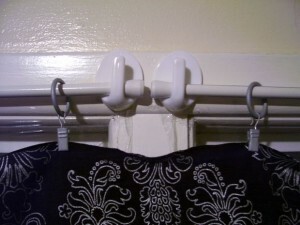 Simply stick the hook on the wall, slide the curtain hanger over top, and there you have it – an instant curtain hanger. This DIY is fairly self explanatory, but if you want a few more instructions head over to instructables.com. 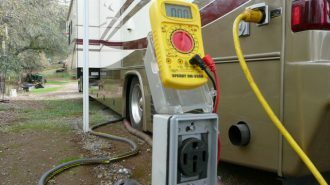 Most RVs come with covers that hinge down over top of the stove when not in use. Most, but not all. 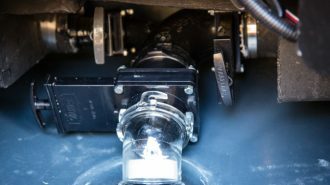 Stove top covers are great because they keep the the dirt and dust out, while creating an area of extra of counter space – something every RV needs. 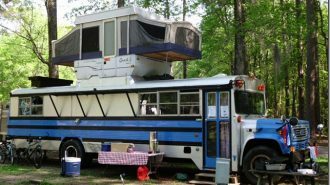 If you’re RV didn’t come with a stovetop cover, or you don’t like your current one, why not make your own? This simple, cleaver DIY is made with a piece of laminate flooring. 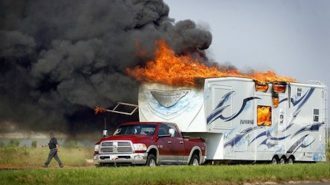 Check out motorhome.com for more information. 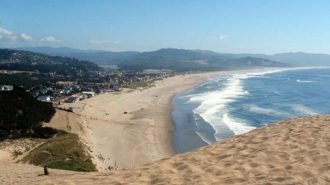 Spending time outside is one of the greatest pleasures of RVing. There’s nothing better then eating meals or playing games with the family in the great outdoors. For lasting outdoor fun even into the night, one of the best ways to light up your campsite is with a table lantern. And the best kind of table lanterns are those that run on solar power. 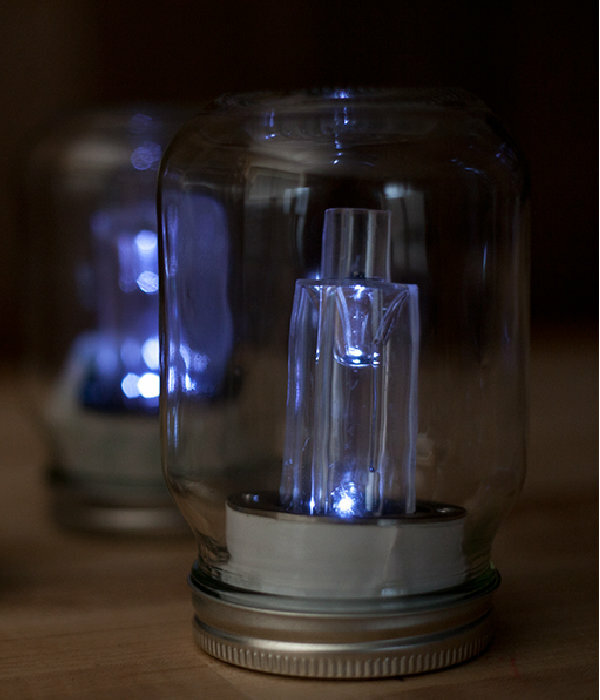 Rather than go out and buy an expensive solar lantern, why not make your own? With nothing more than a single dollar solar light, a mason jar with a lid, and some double sided sticky tape, you can make your very own solar lantern. 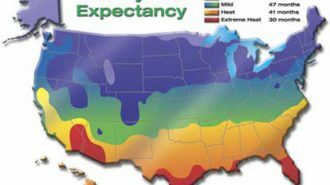 Let the experts over at DIY Ready.com show you how. 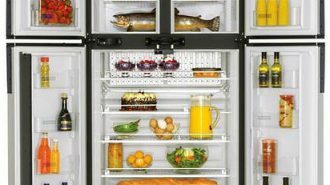 RV Refrigerators are boring. 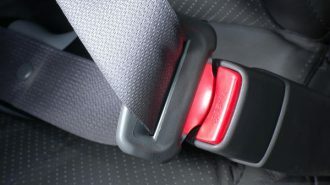 Most are constructed of wood laminate that is not only ugly, but non-magnetic, which makes decorating a pain. 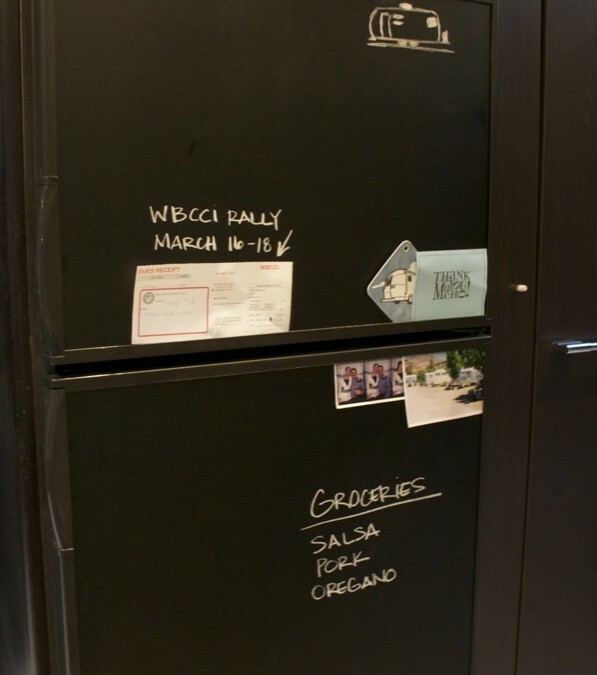 One awesome solution to jazzing up the fridge, and turing it into a useful space at the same time, is to cover it with a roll of chalkboard vinyl. 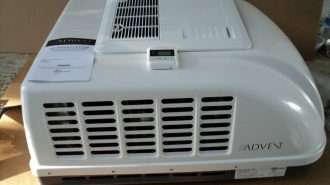 The vinyl comes in a large roll that you simply cut to size and adhere to the front of the fridge. Presto! You now have a chalkboard surface where you can write notes or keep lists. Practical and good looking! Check out the wesealmouth.com site for more instructions. 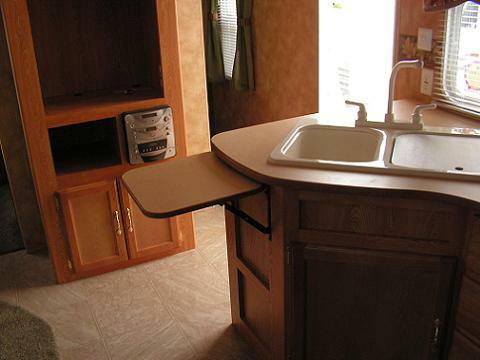 Yet another way to create more counter space in an RV. Are you seeing a trend here? 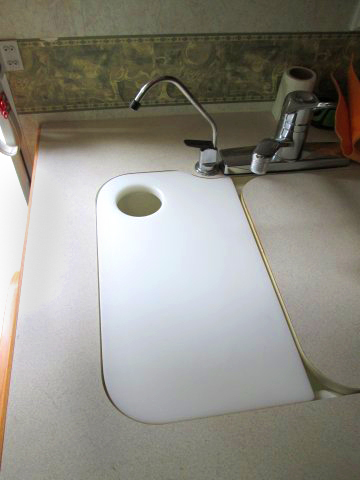 If the cutting board sink covers and custom stove top covers are not enough, here is yet another way to increase the space in your RV kitchen. 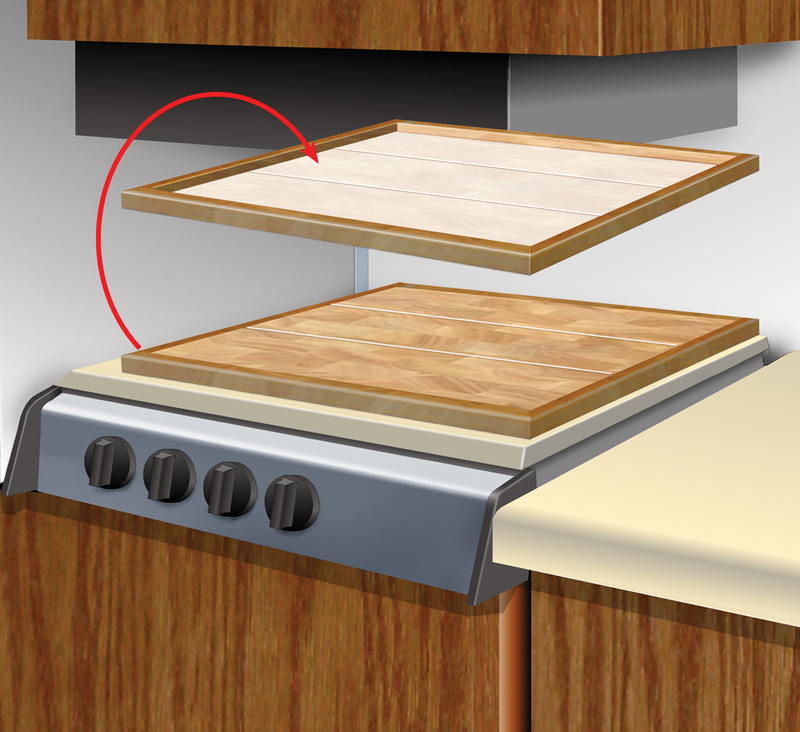 This flip up counter top extension gives you extra space when you need it, and folds down out of the way when you don’t. 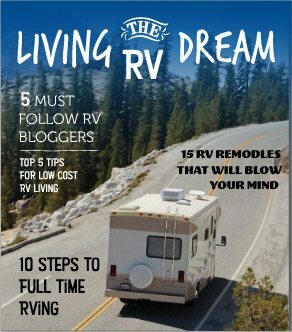 The experts over at modmyrv.com provide easy to follow instructions for making a DIY counter top extension. First of all, what the heck it a blue boy? Well, if you have one than you already know. 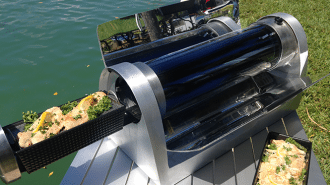 But if you don’t all you have to know is that it’s basically a portable waste water holding device that can be wheeled to the dump station without moving your RV. If you have a Blue Boy, or you’ve been thinking of purchasing one, chances are that you struggle with a place to store it. Here is an excellent DIY solution for you. 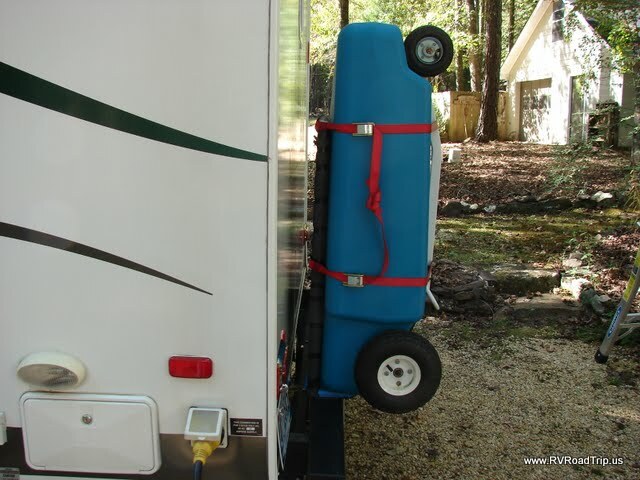 A modified hand truck is mounted on the RV bumper, and the blue boy rests on top secured with ratchet straps. 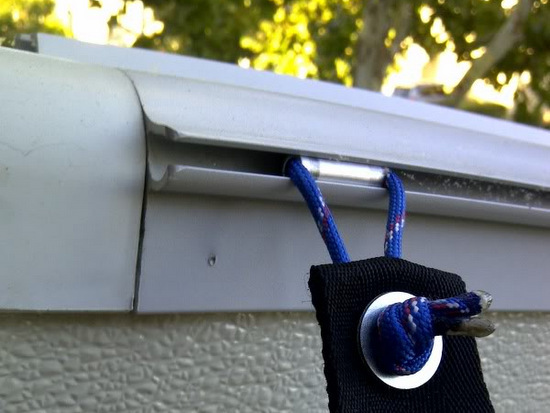 For more information on how to make this very smart DIY RV hack, check out the roadtrip.us website.